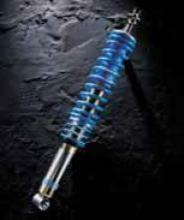 You can expect more than just high quality from BILSTEIN'S suspension components. BILSTEIN'S engineers develop suspension systems for sheer driving enjoyment using superior technology and high performance components. The Typical BILSTEIN suspension setting - comfort and sport oriented - is established during elaborate road tests, both on and off the race track. Your suspension kit is subjected to high speed and rapid lane changes during its test phase, to measure for handling, car balance, traction and driver comfort. Only after every aspect has successfully met the high BILSTEIN requirements is the suspension kit ready for production and placed on the market. A perfectly designed BILSTEIN suspension system provides driving enjoyment and safety, especially under extreme driving conditions. Contact Wholesale Suspension today for the right advice and the best price on your BILSTEIN requirements.